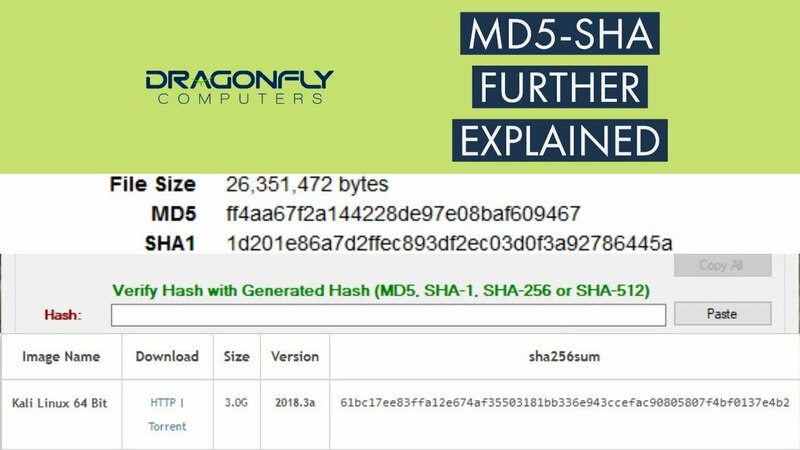 What are SHA and MD5 and why should you care? Only that one specific file will create this unique hash code, no other file will create that exact same hash. Think of it like a unique signature that’s perfect every time. Well, the answer is, unless you’re an advanced user that downloads files from open source or other non-corporate websites, then you’ll probably never have to worry about it. This is more of an advanced tool that people can use to verify the file they just downloaded is the file it’s supposed to be. So for example, I download a piece of software from a website. Right next to the download button, I spot a SHA-256 hash similar to the one posted above. 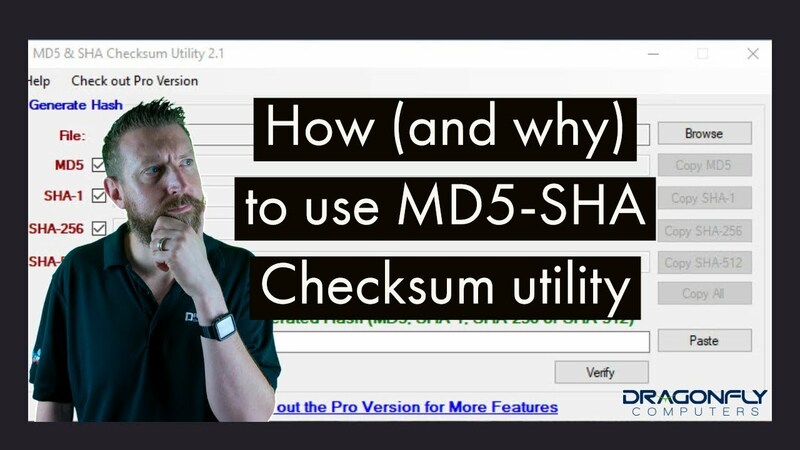 After I download the file, I use the MD5-SHA checksum utility to quickly check that the piece of software I downloaded is what it’s supposed to be. If the SHA hash didn’t match, I’d know that I’ve got something different and I would know not to install it. (Actually what I should then do is delete it and contact the website owner). It’s important to note that MD5 is old, weak, and has been broken. That means MD5 hashes can be faked and shouldn’t be trusted. If it’s all you’ve got, you can still verify it, but just know that it doesn’t mean your safe. SHA is actually a family of hashing algorithms. There’s SHA-1 (also broken), SHA-256, SHA-384, and SHA-512. As the numbers get higher, so does the length of the hashes (or signatures). The more complex the algorithm, the harder it is to fake. It’s important to understand, nothing is being encrypted here. You’re only checking the signature of the file you downloaded, matches the signature the website posted for you to check against. I’ve posted some how to videos to help explain.